Our well proven touring hubs are now available in front and rear disc version. 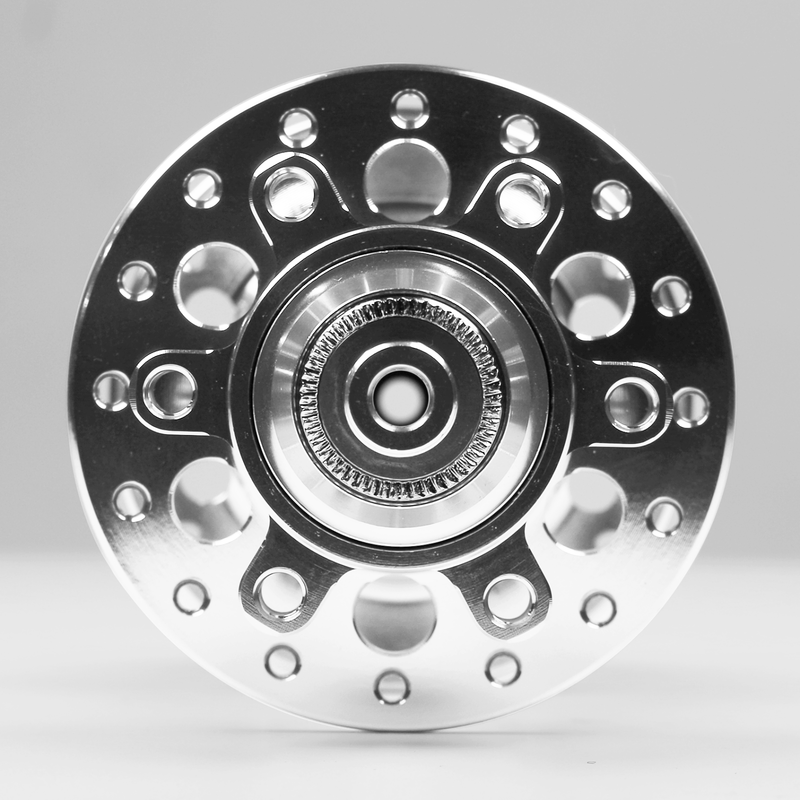 The high flange hub shell is our own design. The high flanges allow room for four identical and rather large cartridge bearings. These big bearings wouldn't have fit in a regular low flange design. We continue to use very high quality Japanese cartridge bearings. These guys cost us 5 to 10 times as much as the bearings used in many hubs. We picked a common size so you can find replacements in far-off places. And they are relatively easy to replace should they ever wear out. The axle is hollow and over-sized. The free-hub body can be replaced in seconds. There are three pawls with sturdy springs. The hub fits up to a 10-speed cassette; you can fit a 7-speed cassette by adding a 4.5mm spacer. VO enclosed-cam quick release skewer is included. 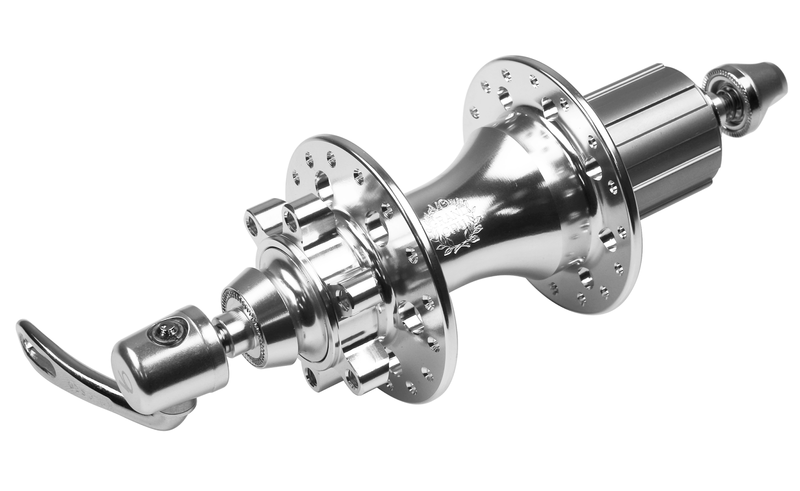 We offer a choice of steel, alloy, and Campy-compatible free hub bodies. This is the matching front hub. By the way, I suspect that there are some retro grouches out there who are surprised, if not annoyed, that VO is making hubs, and soon frames, utilizing disc brakes. There are so many silly "innovations" in the bike world that it's hard to know when something really provides an advantage. Every time I go to a big industry show I'm blown away by the amount of change for change's sake. So much of the bike industry is geared toward getting you to buy some newer and "better" component every year. But, now that I've used them, I think that disc brakes really are an improvement. Not every bike needs them, but if you're barreling down a steep alpine descent or single track they are absolutely wonderful. I'm sure that the great French constructeurs of old would have embraced them, at least for some types of bikes. Carrying enough water on longer rides can be a problem, especially for touring cyclists in the southwest, but also in other parts of the country where potable water sources are far apart. 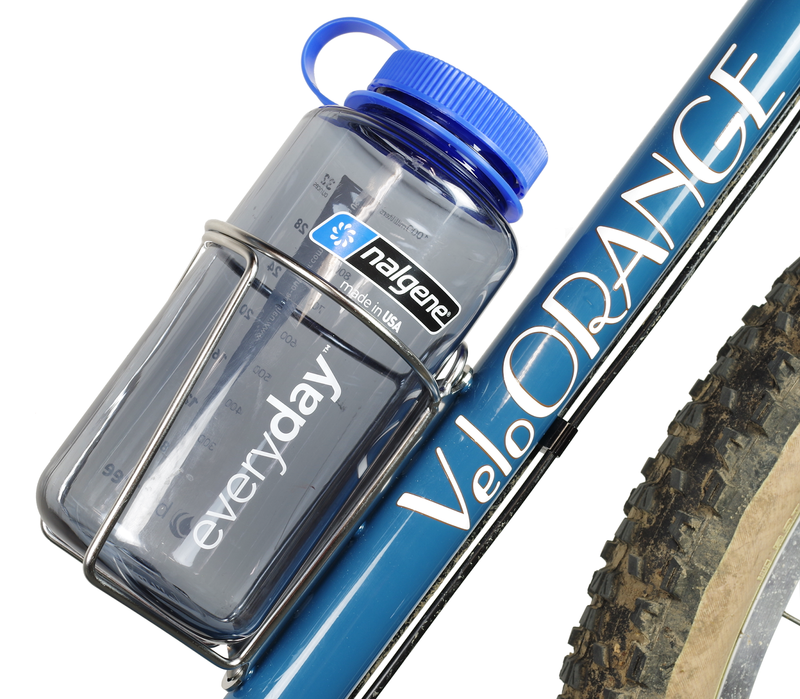 We designed the Mojave cage to fit 32oz Nalgene bottles or 40oz Kleen Kanteen stainless steel bottles. 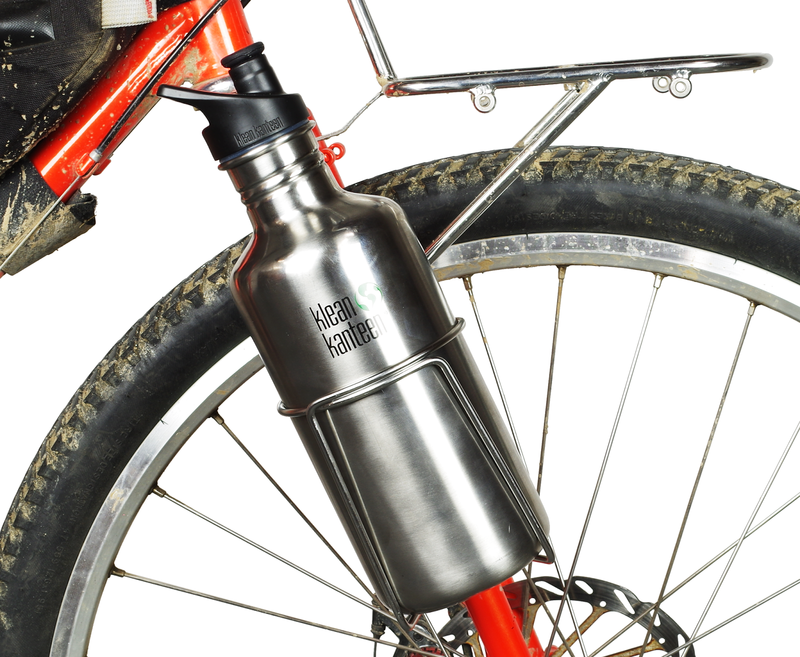 Regular tall bike bottles usually hold between 20oz and 25oz. 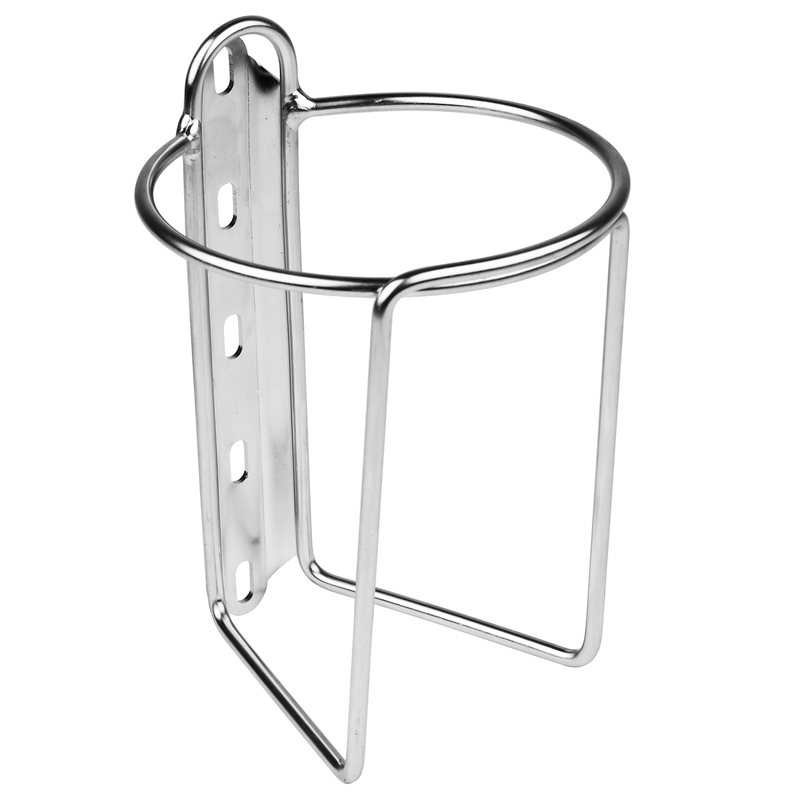 The design is based on our standard size retro cages which we find are better than most cages in keeping bottles secure even on rough terrain. You may notice that the mounting tab has 5 holes. This allows you to mount the Mojave cage in three positions, higher or lower as best fits your frame. You can also mount it on newer frames with three water bottle screw bosses. We think the three attachment point system is a great idea and you'll see it on some of our future frames. One caveat, the Kleen Kanteen bottle is pretty tall, about 29cm with the sport top. It may not fit inside the main triangle of smaller frames. The Nalgene is shorter, but doesn't offer a sport top. There are probably other bottles that fit; we plan to check large beer bottles first. Mojave Cage compared to the standard-size Retro Cage. We've decided we're going to have a few more of these favorite things posts. I do a lot of city riding, so many of these items are influenced by that. Postino bars were the first thing to come to mind for me. They're sporty with a 0 rise, and elegant with their subtle curves; a perfect city bar in my opinion. The angles are comfortable and the width is nice for wheelies. I've got mine on an old Peugeot, but they also pair well with the Pass Hunter. What matches up better with Postino bars than cork grips? They're comfortable and look great. You can shellac them if you're worried about them getting dirty, but personally I prefer them bare. Of course, I also think white bar wrap looks good when it gets dirty. It's like an old t-shirt you've worn so many times that it's broken in and soft. Third on my list is set to arrive at headquarters within the next few days. They've made appearances on a few other posts and at the Philly bike expo. 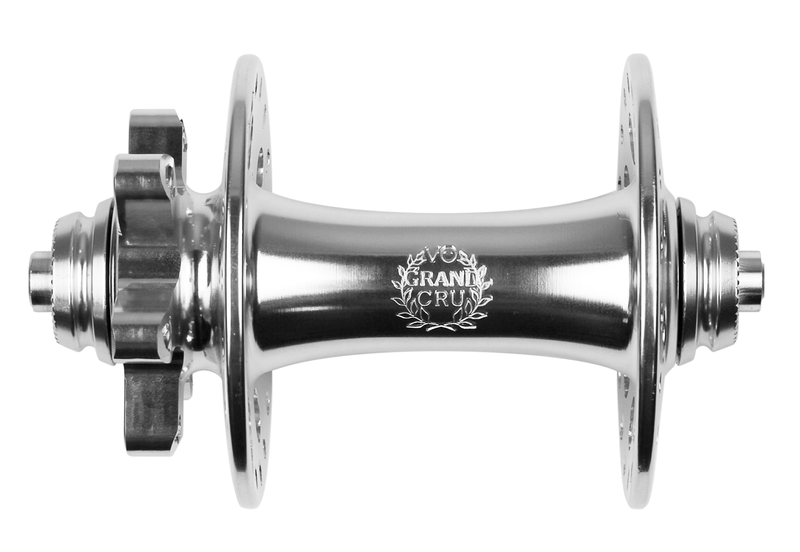 I'm very excited about the release of our Grand Cru disc hubs. 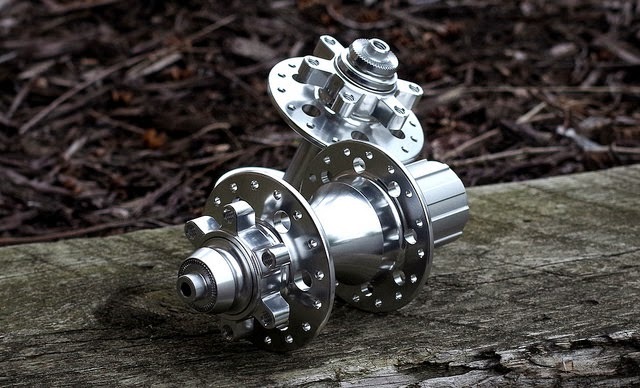 They're reliable, no-nonsense disc hubs that don't cost as much as a new bike. Good Japanese bearings, tool-less servicing, and they look fantastic. The zero setback seatpost is a more recent favorite of mine. It's a simple and well designed seatpost. 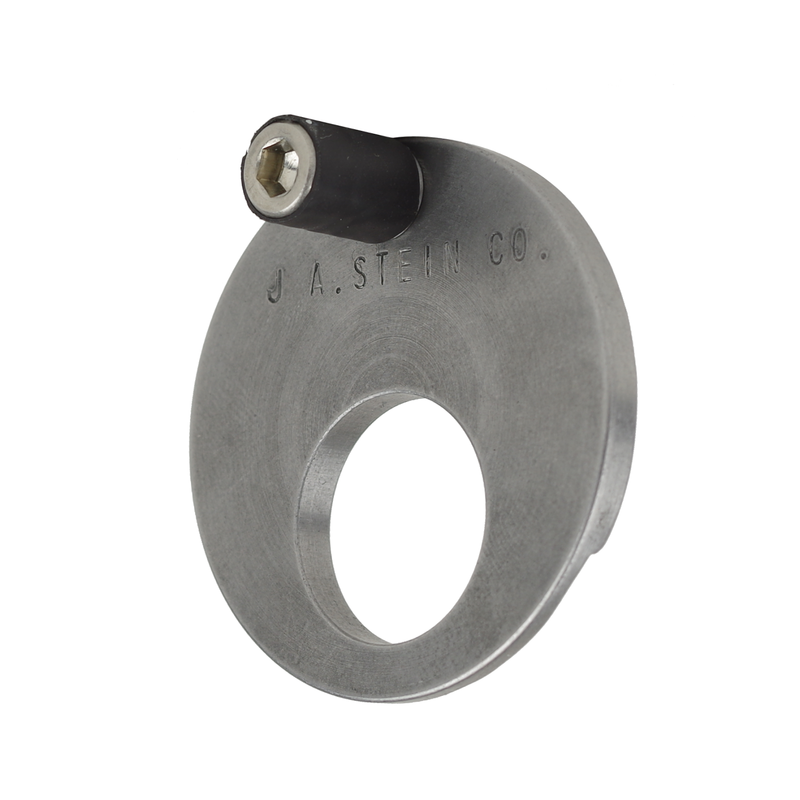 The single bolt clamp is easy to work with and the ovalized tubing gives it extra strength. Besides, the black gloss finish is so choice. I probably bring up colors more than I should. Just ask my coworkers. This brings me to Fairweather tires. 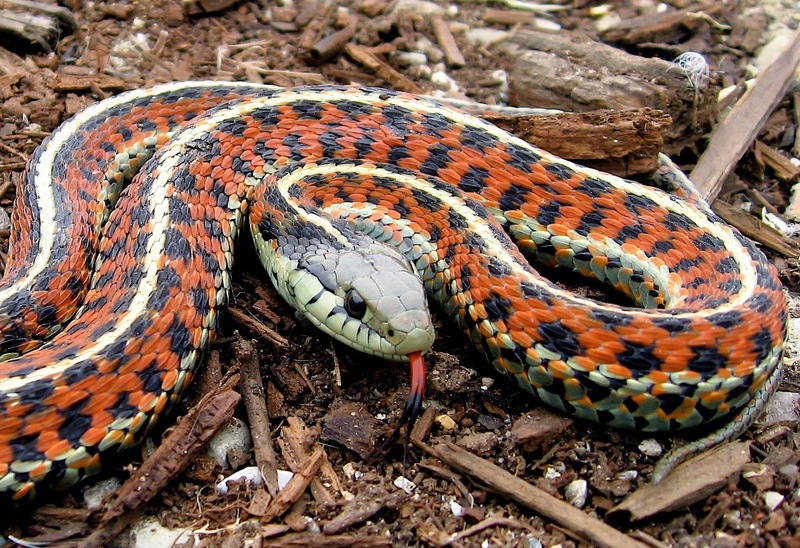 These aren't your cheap-o colored rubber tires that you throw on your Walmart fixie. They're real road and touring tires made by Panaracer. The algae traveler tires are probably my favorite out of the bunch. They're kind of blue and kind of green. Depends on what light you have them in. When paired with the right frame, they make the color really pop. We have some new hammered fenders. They are 50mm wide, so you can run up to 42mm tires, and they're available in 700c and 650b sizes. The 650b size also fits 26" wheels pretty well. 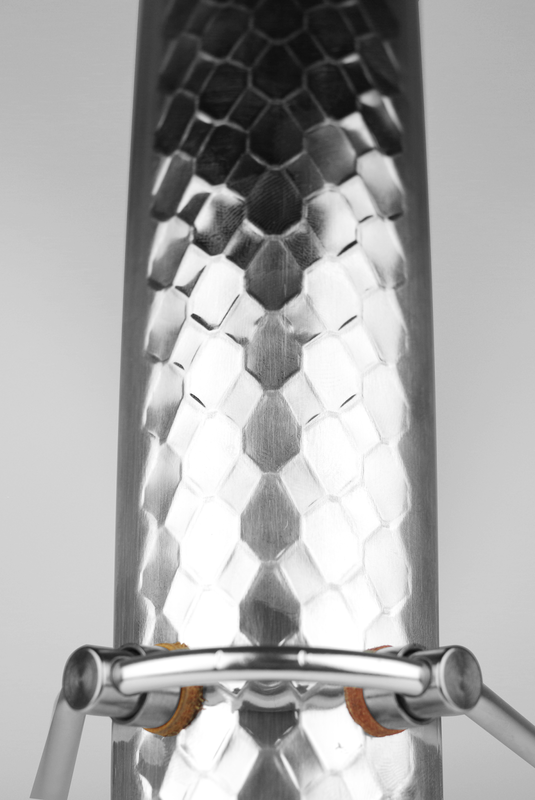 They have a new hammered pattern that we designed: upon seeing the prototypes we were reminded of a snake, though one staffer says they're more like fish scales. What do you think? Do they look like snakeskin? In any case, they are a nice option for lots of bikes, including Polyvalents, Campeurs, and, with a little squeezing at the chainstay, Pass Hunters. We made a special production run on Campeurs in yellow for our distributor in Thailand. They also have a lovely seat tube decal. I really like this color; we may use it on a regular production frame in the future. Almost all of us at VO use Rema tube patch kits. Everyone should carry a patch kit, even if you carry a spare tube. There will be that rare ride when you flat twice. And patch kits weigh almost nothing. Many shops carry them, as does VO now. Our second January container has been delayed, but it should arrive in a few weeks. We'll be getting more Campeur frames, including the new 26" model, and more Pass Hunters. 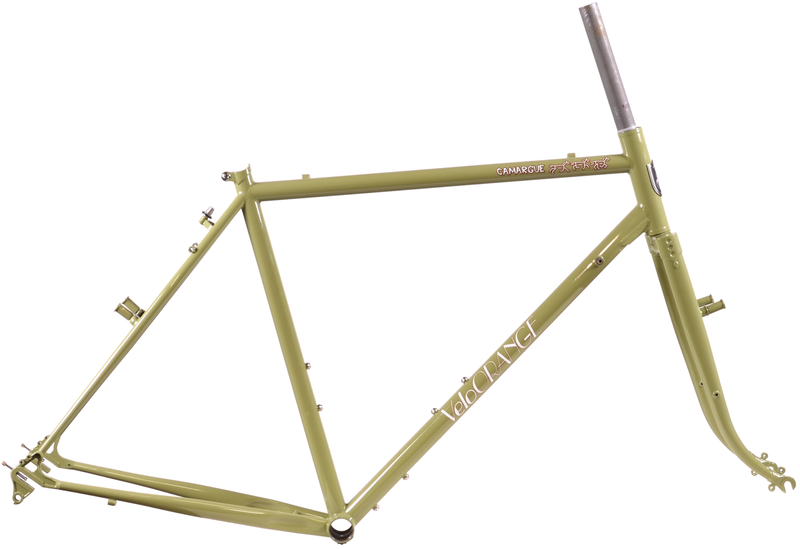 We'll also have more Porteur racks, Short and Shallow bars, and a bunch of other stuff. You may notice that this post has a byline. That's because more VO staffers are writing posts. In the past you could assume that anything without a byline was written by me, Chris, but now I get a byline, too. In the last installment, we talked about how to install a bottom bracket into your new VO frame. This time, we'll discuss selecting a drop handlebar for your new ride. First, we need to get some terminology straight. Drop Handlebar - the most common type of handlebar for road riding, touring, and randonneuring, typically allowing a more aerodynamic riding position than upright city-style bars. Lots of hand positions. 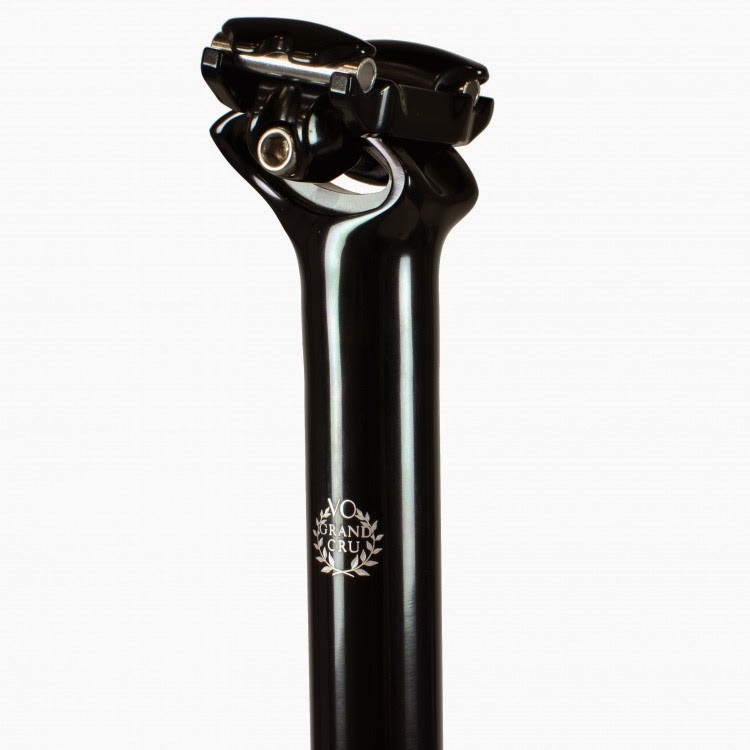 25.4mm - standard city, upright, and MTB bars (although many have gone to 31.8mm). Brake Lever Clamp diameter - The measurement outside to outside of the bar to which your brake levers and shifters clamp. Width - Measured center to center of the end of the handlebar. 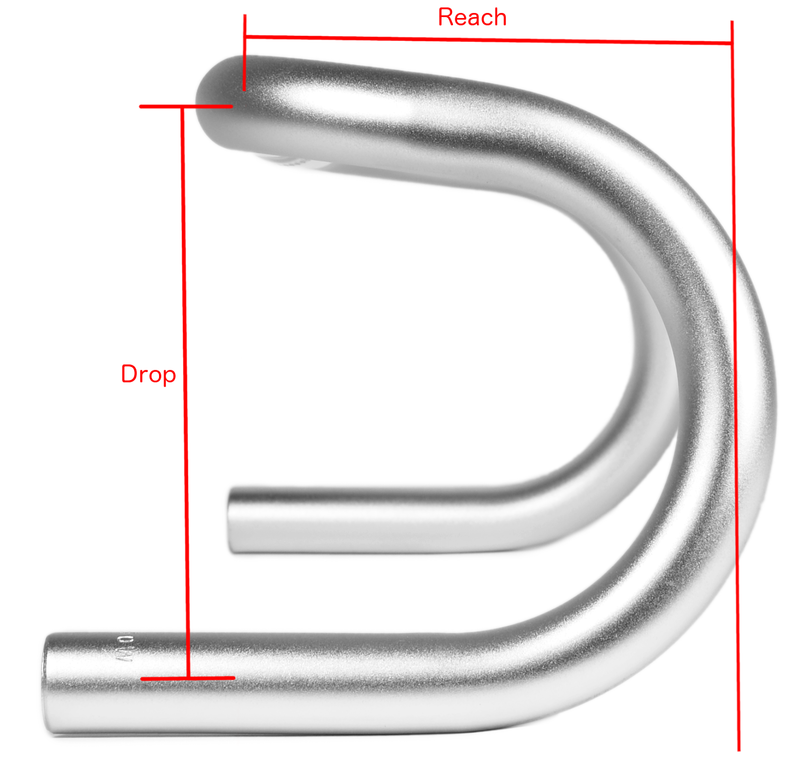 Reach - The measurement from the center of the stem clamp to the center to the farthest portion of the forward extension. Drop - Measurement from the center of the stem clamp to center of the lowest portion of the handlebar. Tops - Portion of the handlebar to the left and right of the stem clamp. Ramps - Forward extension of a drop bar from the stem clamp. Hoods - Position on the hoods. Hooks - Portion of the handlebar that transitions into the drops. 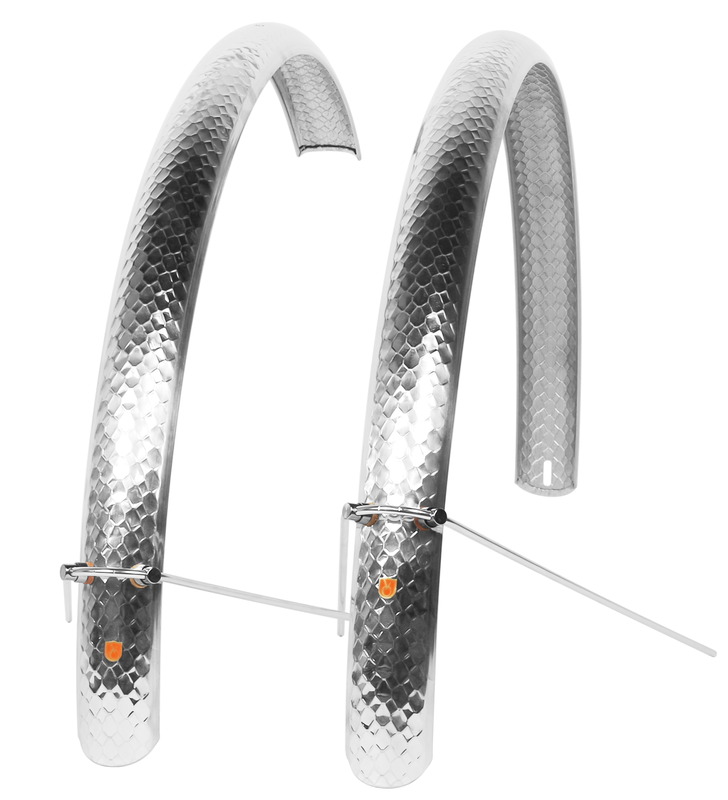 Drops - Portion of the drop handlebar that gets you lower and more aerodynamic. Flare - Difference between width of drops and center to center width of ramps. 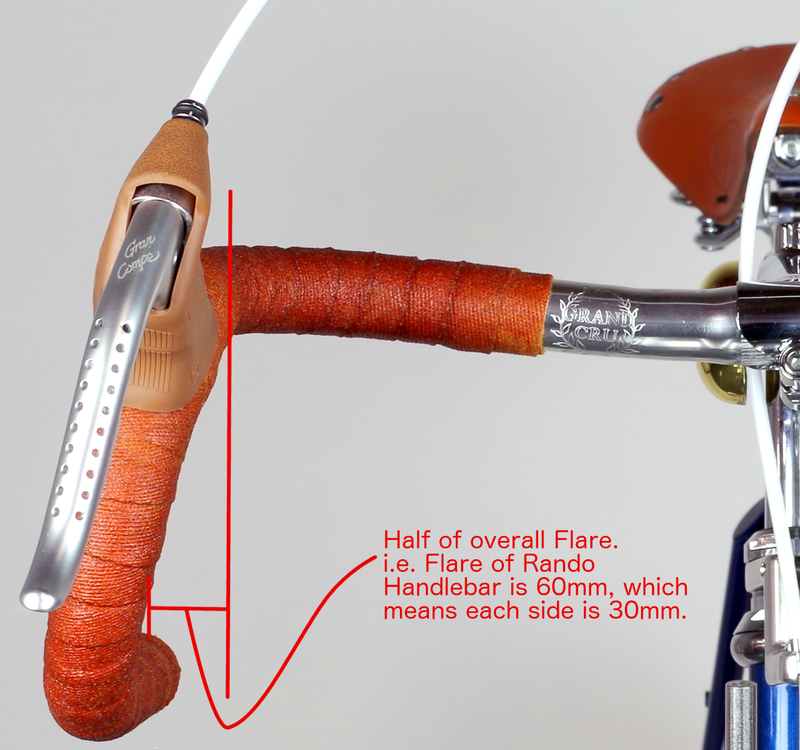 Taking half the difference gives you the flare for each side of a drop handlebar. I'll start off with my favorite. The Grand Cru Course Handlebar is our traditional road drop handlebar. The biggest thing that has me using this bar on so many builds is the long ramps leading up to the hoods. You spend the vast majority of your time here, so why not make it as comfortable as possible? If you're coming from a short reach drop handlebar, you'll want to get at least a 10mm shorter stem to have a similar position on the hoods. Having a long ramp section means your hands can roam freely forwards and backwards, which is invaluable during a long ride or tour. This handlebar has a medium length drop for improved aerodynamics and handling through corners. Flare is a modest 30mm (15mm on each side). Our Rando handlebar has similar features to the Course, but it has a slight upward sweep by the stem clamp. This is a very traditional randonneur-style bar that can be seen on loads of French bikes of yesteryear. The sweep means a slightly more upright position in the hoods as well as the drops! Ramps are the same measurement as the Course handlebar. Flare measures 60mm. Remember, drop bars are measured from center to center of the drop. If you want 42cm (center-to-center) hood-to-hood, get the 48cm model (480mm - 60mm flare = 420mm). The last offering in our drop bar selection is the Dajia Shallow Drop (Adrian's favorite, which she used on her C&O trip). The ramp section is shorter for a lower reach to the hoods and the drops are shallower so you don't need to lean over quite as much to find an aerodynamic position. The bar has 0 flare, which allows you snake through the peloton or around parked cars without worry of snagging. This bar is very popular for modern style builds as well as for people wanting a shorter reach bar. What should the next installment of the series be? We've done a bunch of write-ups in the past that were mainly oriented towards accessories (fenders, rear racks, and chainguard), but with the increased number of frames going out the door everyday, we've had home mechanics asking questions about assembly and component selection for their new bike. 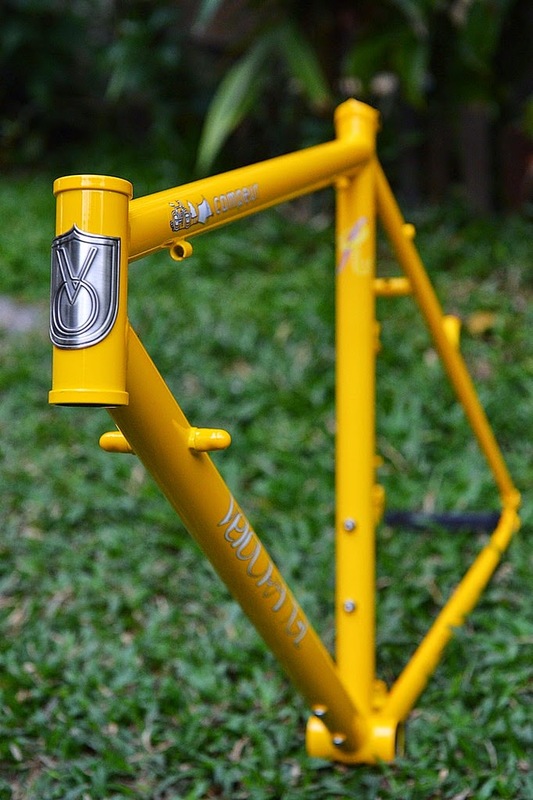 Perhaps it's your first frame/fork build or you just need a refresher of the basics. 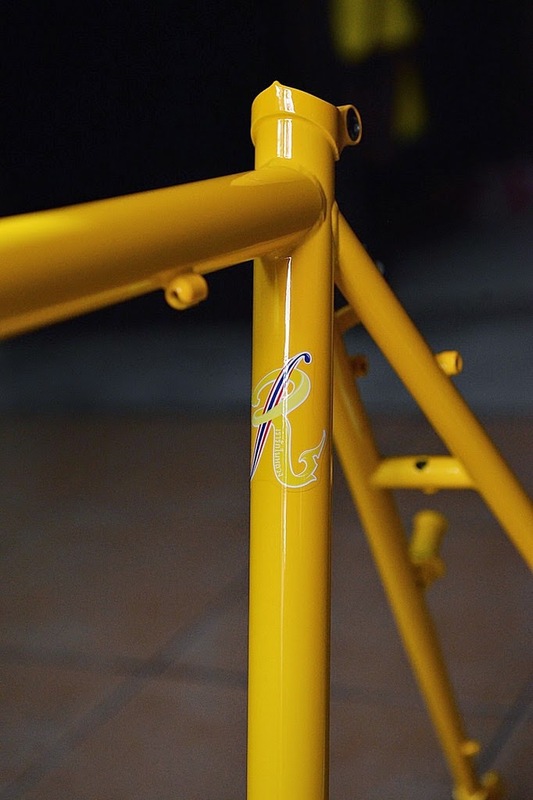 To help out, we're going to start a small post series devoted to installing our components on our frames. Today, we'll tackle installing a bottom bracket. Most of our frames use a 68mm English/ISO threaded bottom bracket shells (the Piolet uses a 73mm shell). This measurement is from flange to flange and is the most standard bottom bracket shell currently used for steel road, city, and touring bikes. You can find parts and tools in any bike shop around the world (a real plus for touring/rando folks) with pricing and quality ranging from basic loose ball bearing to custom high end ceramic bearing. All of our bottom brackets use sealed cartridge bearings for durability, water resistance, and installation simplicity. Many road and mountain bike manufacturers have gone to a "press fit" or "drop in" style bearing for their carbon or aluminum frames for various reasons including perceived stiffness (pie charts and line graphs), proprietary design (to keep you using one crankset), and cost savings in manufacturing (no need for thread tooling!). The two most common issues associated with this "new" style is creaking and shell sleeves delaminating from the frame (this ruins the frame). The last thing I want on a tour is to hear a creak going through my mind when I'm trying to get 40 winks after a several days worth of riding. To install a bottom bracket in your new VO frame, all you need is a bottom bracket tool, wrench (adjustable or ratchet), grease (Park waterproof in a tube is my favorite), and a phillips screwdriver. As mentioned in a previous post, all of our frames come prepped from the factory. The bottom bracket shell has been faced (flanges are on parallel planes) and the threads have minimal (if any) overspray. Run your finger along both flanges of the shell to confirm that there is no dust or contaminants. If you find something, a bit of fine sandpaper can knock it off. Our frames use a cable guide under the shell that is secured by a screw. It is usually flush with the inside of the shell, but it's good habit to back it out a bit to make sure the screw doesn't gouge your new bottom bracket during installation. Put a good sized dab of lube on both the drive and non-drive side threads of the shell and spread it on. Do the same for both bottom bracket cups. 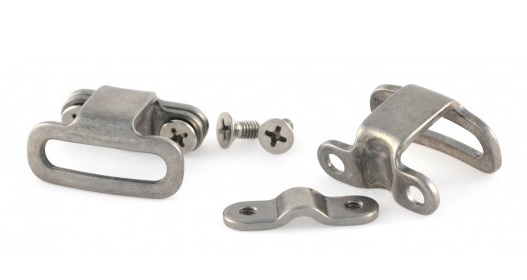 For normal English threaded bottom brackets, (when looking at the flange from their respective sides) the drive side screws in counter clockwise (left threaded) and the non-drive side screws in clockwise (right threaded). I install the non-drive side a couple turns first then install the drive side. Installing the non-drive first makes lining up and installing of the drive side cup easier. Now that the drive side is threading, tighten it down all the way. Torque wrenches can be surprisingly imprecise so I go to one barely audible grunt (~60Nm). Install the non-drive in a similar fashion. Clean up any excess grease and screw the cable guide back in. You're done! What do you want to see next? Brake lever selection? Gear ratios for touring? 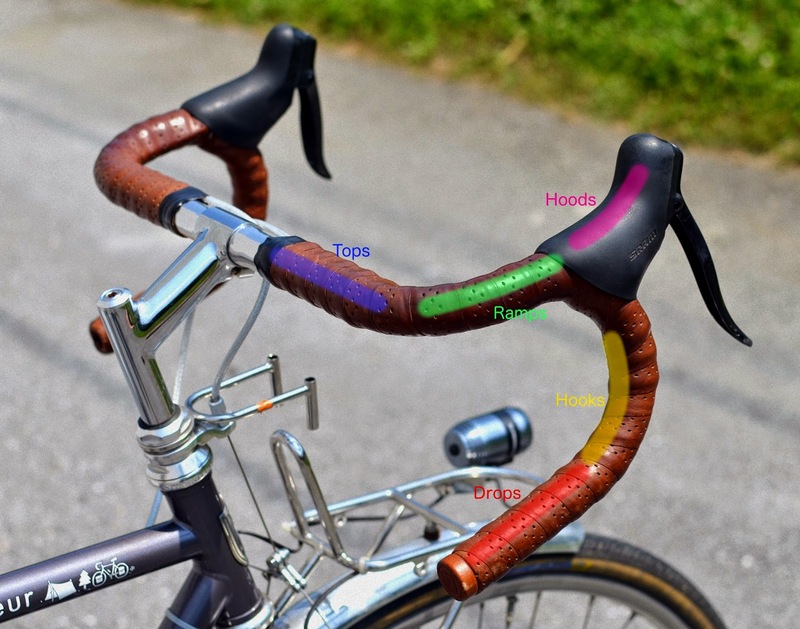 Handlebar nuances? Let us know in the comments. Here are a few of my favourite VO products. My list reflects the kind of riding my wife Melissa and I have been doing more of in the past few years. We have loved to tour for years, my touring times go back to the mid 80's, touring down the Oregon coast and later touring in Australia, New Zealand and Sweden on small back roads as much as possible. My number one favourite VO thing is the Camargue. It is such a versatile frame. You can use it to ride in all sorts of places. Melissa used hers in Iceland this past year, we've been riding them through out the fall and winter here in Maryland, doing loops combining the C & O canal, gravel roads and paved roads in Montgomery county and Fredrick county. This year we'll hopefully use them for a tour of southern Vancouver Island. Number 3 is the Stein mini cassette lockring driver. As I mentioned when we first got these in a few years back, I saw these years back and thought "what a great idea for the touring cyclist" . Weighs practically nothing- 35 gr in the bag with instructions and a zip loc bag. Number 4 is saddle loops. These are one of those little items that you put on and never notice again. But if some how your saddle doesn't have them, you quickly realize how much you need them. I instantly threw a pair on the micro fibre saddles when we first got the saddles to test. Both Melissa and I used them on our Iceland trip and we loved them. The length of the ramp combined with the tektro levers we use is very comfortable and the drop is perfect I think. A bar that you put on and don't fiddle with.